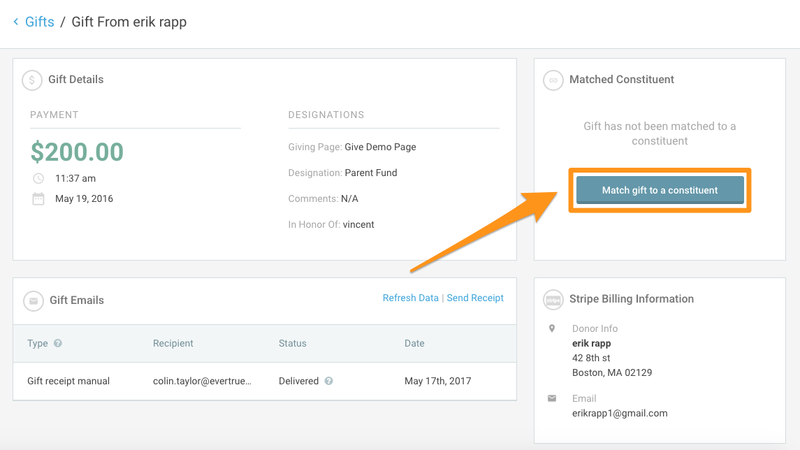 For gifts that were not auto-matched to a constituent record in EverTrue, you have the option to manual match that gift! Check out our latest video on how to manually match a gift or read step-by-step instructions below. 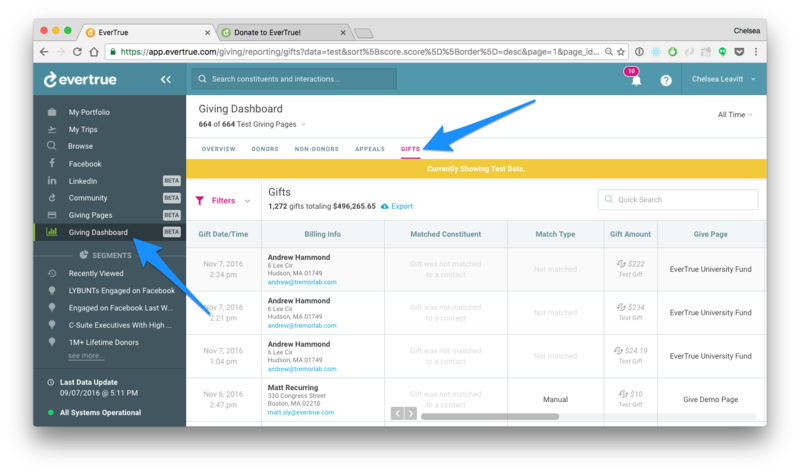 Go to the Giving Dashboard and open up the Gifts tab. Filter on the pages and timeframe you are looking to view gifts for. 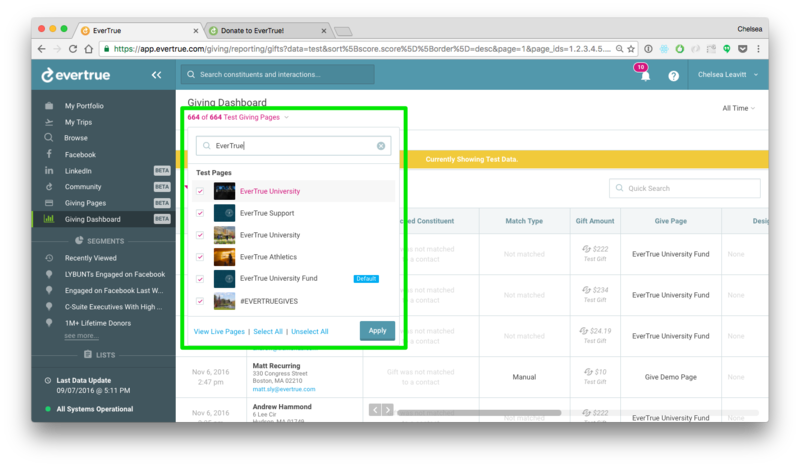 If you'd like to view gifts from all pages, make sure to select "Select All" and Apply. Note, to quickly find gifts that are unmatched you can open up the Filter section and apply the filter for "Not Matched" gifts. 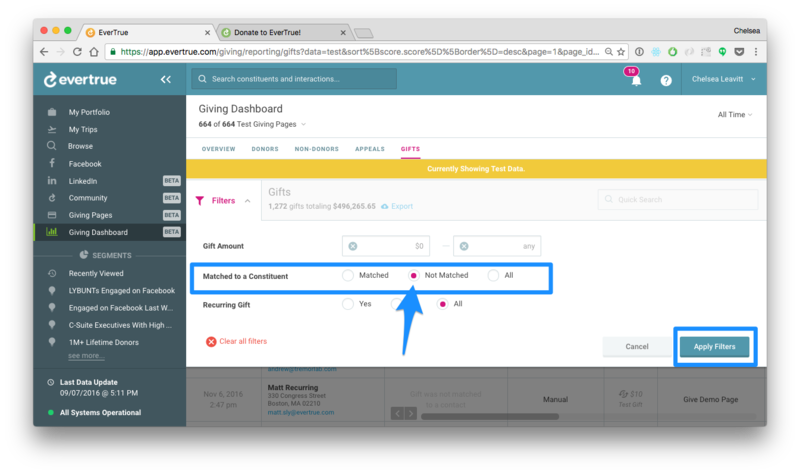 In the Filter section, you can also apply filters for the gift amount and recurring gifts. After finding a gift that is unmatched, click in the open box that reads (in light gray) "Gift was not matched to a contact" under the Matched Constituent column. After the Donor Card opens (see below), click on "Match Gift" to get started making a match. 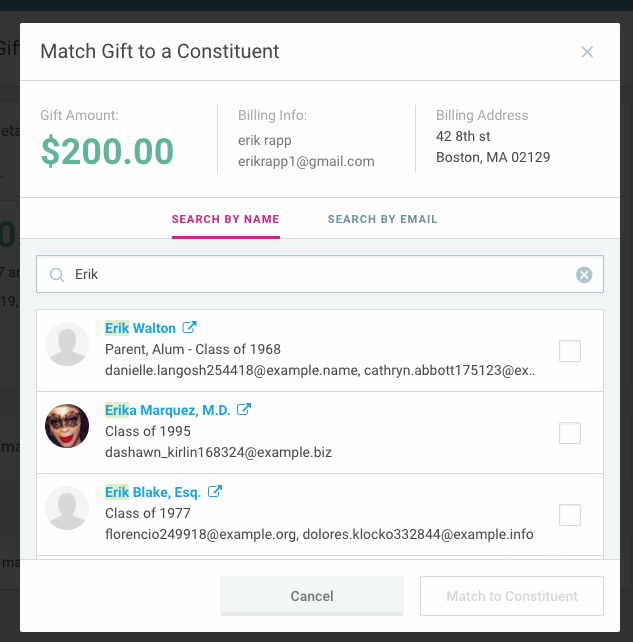 In the "Match Gift to a Constituent" pop-up, browse for a constituent by either name or email. Once located, select the checkbox next to the constituent profile and click "Match to Constituent." Once matched, you will see the matched record included on their gift's donation card. From there, you can also choose to un-match a donation from a constituent record (whether it was an incorrect manual match or an automatic match with a match discrepancy). You'll now see that match reflected in the Gifts table along with a match type of "Manual"!